Building is an extraordinary task requiring extraordinary skills, abilities and passion. By relying upon a decade-long experience in the field of design and construction of civilian, industrial and commercial steel works and structures, Menon leverages skills and innovation capabilities to achieve the best functional and aesthetic results in every project. From the preliminary stages of analysis and design, to the execution and implementation phases, Menon places utmost attention to every detail, mindful that only care of details allows for the accurate execution and delivery of work, in accordance with the schedule and costs agreed with customers. Menon’s versatility, expertise and reliability are expressed through an array of works and structures for a multiplicity of application fields. Menon is a company accustomed to aiming high. Not only because it is aware of its capabilities, but also because its daily commitments aim high. 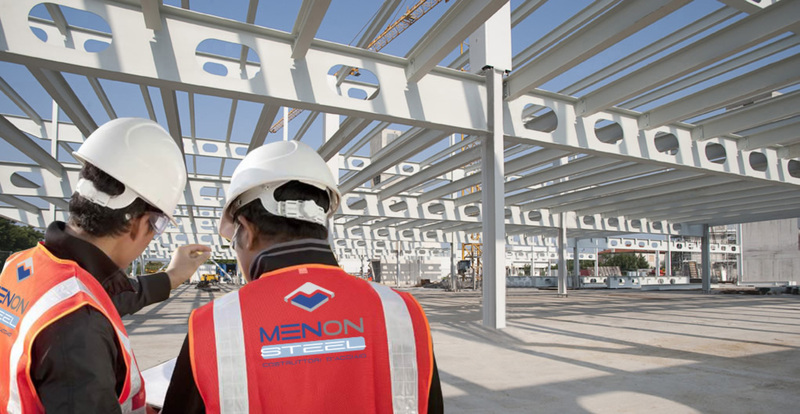 Menon’s philosophy in the design and construction of steel works is informed by the daily commitment to ensure – to both designers and buyers – experience and ability to innovate at the design level, to provide maximum clarity in defining objectives, as well as constant professionalism in achieving results. Design and realization of steel works and metal structures.